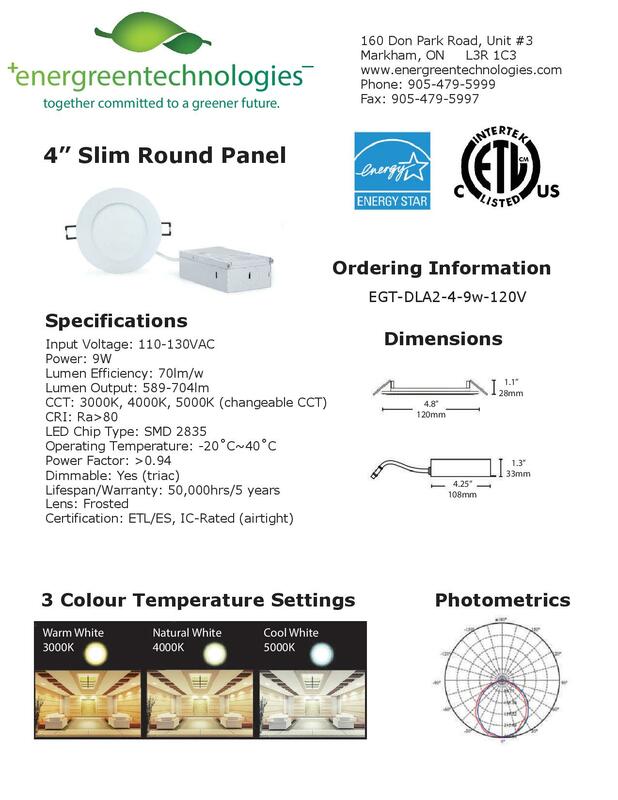 EnerGreen’s 9W dimmable 4″ downlight kit provides superior light output while enjoying a small, sleek design. With a less than one inch profile, the 4″ slim panel is perfect for confined areas (i.e. beams, joists, ducts). These downlights are IC-rated, airtight and suitable for damp locations. 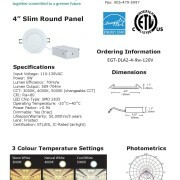 They are perfect for any residential or commercial indoor lighting or outdoor soffit application. 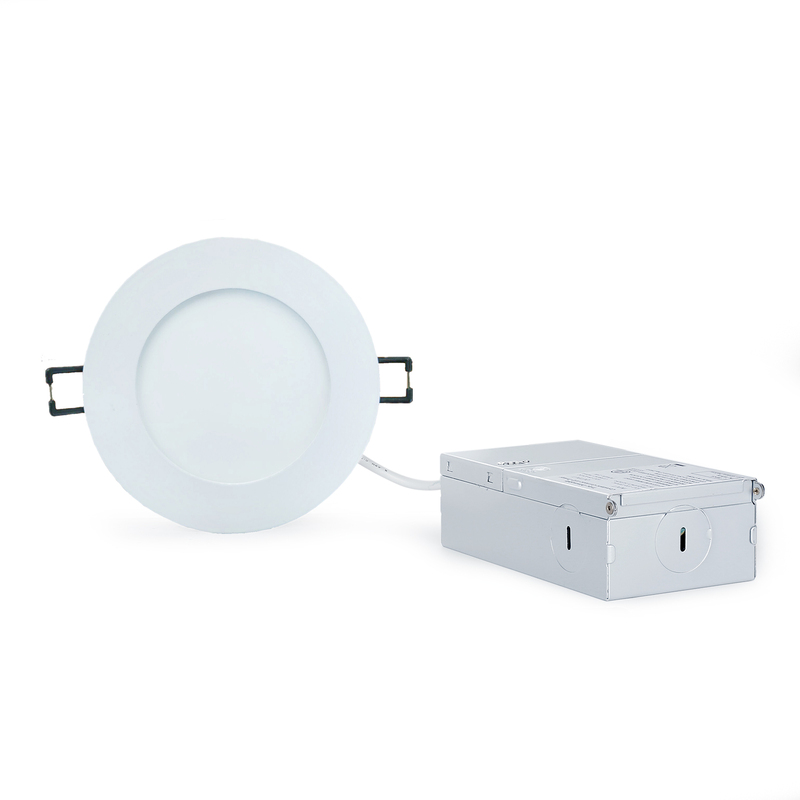 The slim round panel lights are Energy Star listed, and feature a switch allowing for colour changing between 3000K, 4000K, and 5000K.